Annual Holiday Boat Parade in Dana Point began this weekend! Posted by Teresa Mihelic HelpDesk on Monday, December 12th, 2011 at 6:36am. 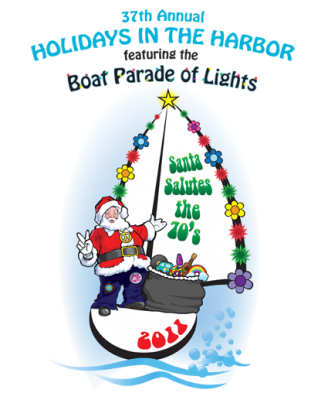 Dana Point Harbor will host its annual holiday boat parades! Dana Point will feature a steady flow of lighted boats on the water -- some with simple and classic decorations and others with extravagant holiday scenes played out on their decks. This year, its the 37th annual Dana Point Harbor Boat Parade of Lights, "Santa Salutes the 70s," will feature about 100 boaters competing in the categories of style, intricacy and outlandishness. Past years' entries have featured towering light displays and inflatable snowmen riding motorcycles and planes. In 2008, one boater even outfitted his craft with rotating wooden attachments that gave the appearance of dolphins swimming alongside. Dress warm!!! It gets chilly out. Parade can be seen pretty much from anywhere in the Harbor, some areas are more crowded that others, from previous experiences, the area by Baby Beach and the Ocean Institute seems the less crowded. People often bring snacks and hot drinks like chocolate and tea to stay warm while watching the show. The Dana Point Harbor Parade of Lights will be at 7:30 p.m. on Friday and Saturday and Dec. 16 and 17. Friday and Saturday and Dec. 16 and 17.